Tonight I attended my first Diwali party! The invitation said we could dress in Indian attire if we wished. So naturally I bought the first product listed when I searched for ‘Indian shirt’ on Amazon.com. I was ready! There are zero Indian restaurants on the west side of this island. I was so ecstatic to eat delicious, homemade Indian food I had four servings. I make no apologies. 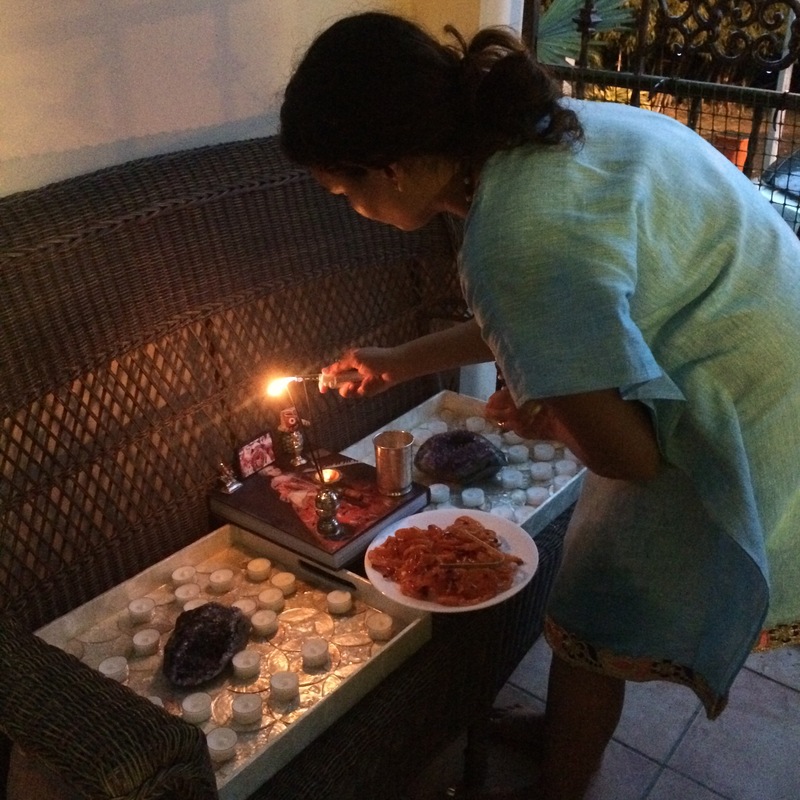 We lit candles to Lakshmi and asked for her to take away something in our life that wasn’t aiding us any longer and bring us something we did want. 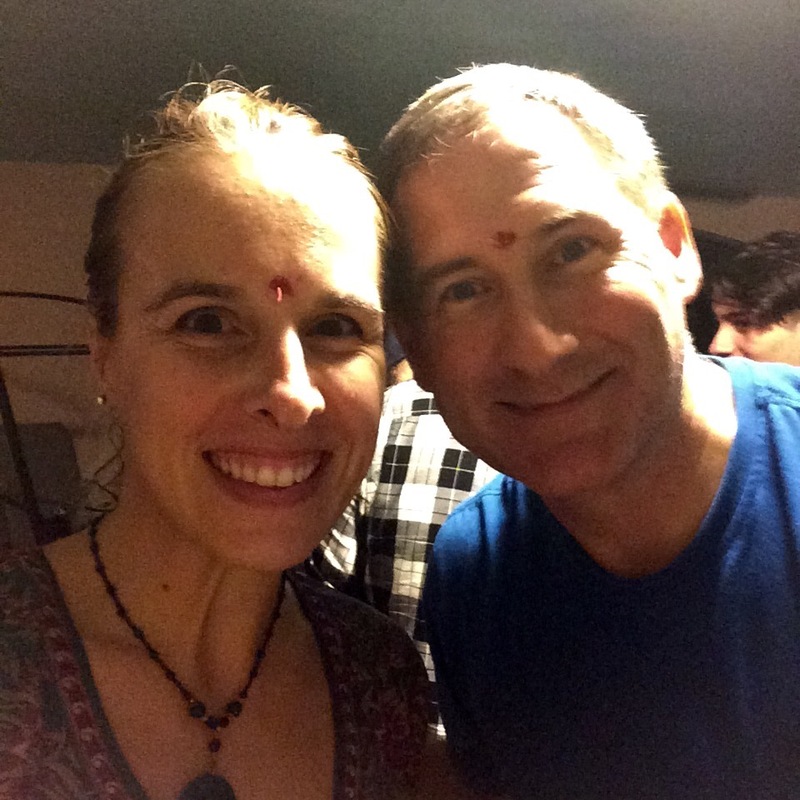 Then our host put a red dot with rice on our forehead. As with all parties we attend we found fascinating people to chat with. About everything from dinosaurs, to coast guard rescue diving, to safari’s.